Fitness 2J2, 2019 new Implementing Partner with the Jays Care Foundation. So stoked to announce that 2J2 will be partnering with Jays Care! As an Implementing Partner, we will be providing programming with communities, and continue to build healthy and positive lifestyles through fitness and sport. Lets go Blue Jays. www.jayscare.com … Read more about Fitness 2J2, 2019 new Implementing Partner with the Jays Care Foundation. 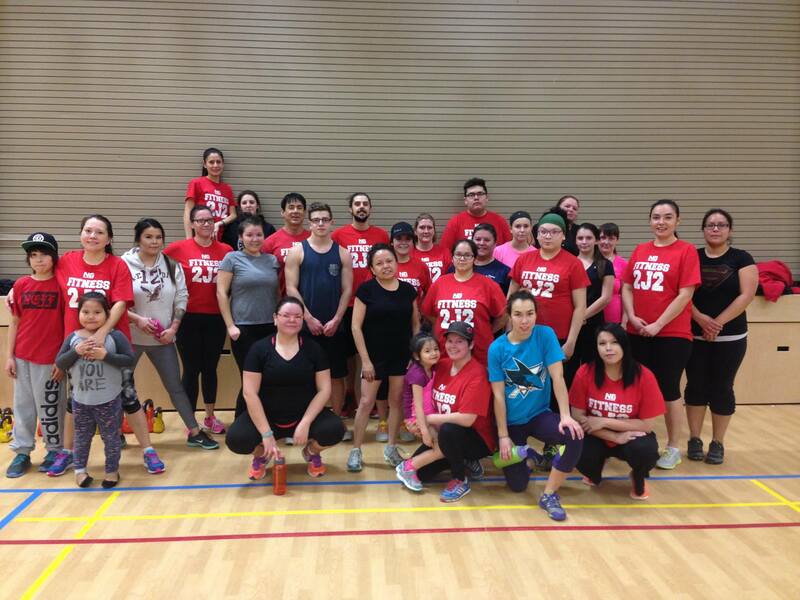 LaRonge, Functional Fitness & Self-Def for Women/Youth. 25-29Mar2019. Looking forward to bringing some constantly varied, low-high intensity, FUNctional fitness back to LaRonge. Partnering with NSCRD we will be with youth at school during the day. Community in evening, for more details please contact Ashley 306-425-2266. www.nscrd.com … Read more about LaRonge, Functional Fitness & Self-Def for Women/Youth. 25-29Mar2019. Functional Fitness & Learn toRun 5km Jan-June 2019 Saskatoon. No C0$T. Hey team welcome to 2019. Hope you are ready fro a healthy newyear! Please check our Facebook, Instagram or twitter for confirmation of sessions. No cost, drop in sessions, for all ages and abilities. We will make sure all have an awesome workout. Come and earn a … Read more about Functional Fitness & Learn toRun 5km Jan-June 2019 Saskatoon. No C0$T. UofS College of Kin. Recreation Services. Feb24/Mar3&10 2019. We are proud to partner with the UofS College of Kinesiology Rec to provide beginner level aikido-jujitsu based self-defence and safety awareness program. Invest in yourself, thank yourself later. … Read more about UofS College of Kin. Recreation Services. Feb24/Mar3&10 2019. NSCRD and Sask Rugby are looking for youth interested in learning to play the game of flag Rugby. We will be in the communities for mini-camp's, come out for some fitness and fun. Earn a NeechieGear/2J2 training t-shirt, ball caps, and healthy snacks. Based on the Rookie Rugby program the game of … Read more about SandyBay FN & Pelican Narrows FN 5&6 Jan 2019 Learn Rugby for youth.